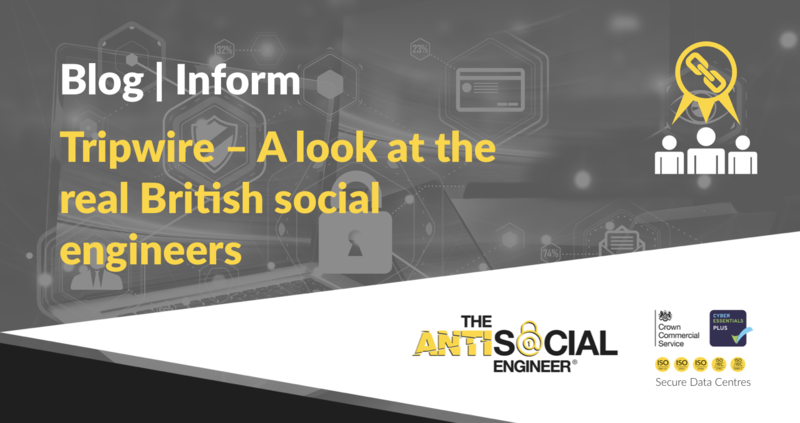 Tripwire have been helping us shine light onto the real threats a UK business will face when it comes toe to toe with a real social engineer. Read the full article here. I have a love/hate affair with the term ‘Social Engineer’. To me, this is the most professional and committed ‘job’ I have ever had. It has required training and endless education, and it has changed my life in nearly every aspect. The term in it’s self has become tired. It lacks aim and enthusiasm, and when it does, it is often combined with Jedi mind trickery or stories more appropriate for a Darren Brown show. So maybe it’s time to take it back to basics and relate this very real world threat into something we understand…… Continue to read here.